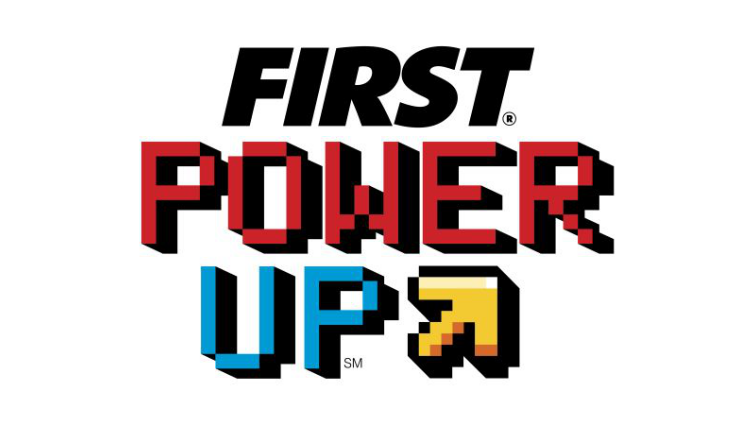 FIRST Power Up features two Alliances of three video game characters (robots) and their human operators who are trapped in an arcade game. Alliances work to gain points to defeat the boss in order to escape! There are three ways to earn points: Control the Switches and the Scale, Earn Power Ups, and Climb the Scale. Each alliance works together to deliver Power Cubes to tip the Switch and Scales in order to gain ownership for as much time as possible. Power Cubes may be collected from the field or from human players through the Portal. The Power Cubes are also delivered through the Exchange Zone to the human player who places them into the Vault to earn the Alliance Power Ups. The Force Power Up gives the alliance ownership of the Switch, Scale, or both for a limited period of time. The Boost Power Up doubles the rate points are earned for a limited period of time. The Levitate Power Up gives a robot a free climb. When the timer gets to the last 30 seconds of the match, the robots must climb the scale to be ready to face The Boss before time runs out. Each match starts with a 15-second Autonomous period in which robots operate independently of human control. During this period, robots attempt to deliver a preloaded Power Cube to the switch or scale, and/or cross their Auto Line (line on the field) to gain match points. Afterwards starts the 2 minute and 15 second long game play where human operators control their robots, and alliances work together to score as many match points as possible before the timer runs out.